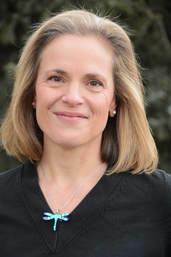 Rachel Blunk, L.Ac., Fellow of the American Board of Oriental Reproductive Medicine, is Northern Colorado’s premier licensed and board certified fertility acupuncturist. She is dedicated to helping women get pregnant and have a healthy pregnancy from start to finish. She also treats women outside of their reproductive years, from hormonal teenagers to menopause. A specialist in women's health and fertility acupuncture with more than 19 years of experience, Rachel can get straight to the heart of your issue quickly without wasting precious time and money. She helps get your body back into balance naturally, so that conception is possible. She has helped hundreds of women get pregnant, and thousands of them balance their hormones. ​Having experienced her own struggle with fertility, Rachel provides the utmost in gentle and compassionate care. Patients feel listened to and understood, as well as confident in her techniques and in-depth knowledge of infertility treatments. Patients regain hope that conception is possible. Rachel has attended the Integrative Fertility Symposium every year since its inception to learn the latest developments in fertility medicine. She also collaborates regularly with local Reproductive Endocrinologists, OB/GYNs and Nurse Midwives, helping women to get and stay pregnant. ​My husband and I got pregnant the first time we tried. I miscarried at barely 5 weeks. We got pregnant again on the very next ovulation, and miscarried again at barely 5 weeks. Tried again, and got pregnant very quickly with twins! The first one's heart stopped beating at 6 weeks, and the second one's stopped at about 7 weeks. I had a D&C, and couldn't get pregnant for 9 more months. At that time I threw myself into figuring out how to fix this with acupuncture and Chinese herbs. I also saw my own acupuncturist. Thus began my passion and focus for treating infertility. It was a difficult time for me personally, but the experience allows me to share a deeper understanding of the challenge faced by every single one of my patients. We all have our own story. The happy ending to mine is being able to have this wonderful career helping couples with infertility. I truly love what I do! Happily, we got pregnant again and had a baby boy in 2003, and welcomed a baby girl at the beginning of 2005. "Knowing I was of advanced maternal age (37), and also that a stressful career had taken a toll on my body, I was thrilled to find a natural way to address my fertility. Not only did I feel an increase in energy and overall wellness within the first few weeks, but I was pregnant in only 3 months.